Stewarding the land & cultivating the harvest through Holistic regenerative agriculture. Providing products & experiences that renew & refresh the mind, body & soul. Immersing our communtiy with their food origins; the who, where, how & why it all matters. Through Holistic management, Rocklands Farm Winery exists to feed, nourish and engage our community. Holistic management balances the social, economic, and environmental factors for the success of the whole operation, including the greater community & ecosystem. As stewards of our families, community & land, we utilize regenerative practices, which honors the successes of the past, creates value today, and builds future-capacity for those of a generation we may never meet. We are passionate about what we do & happy to share this experience with our community. 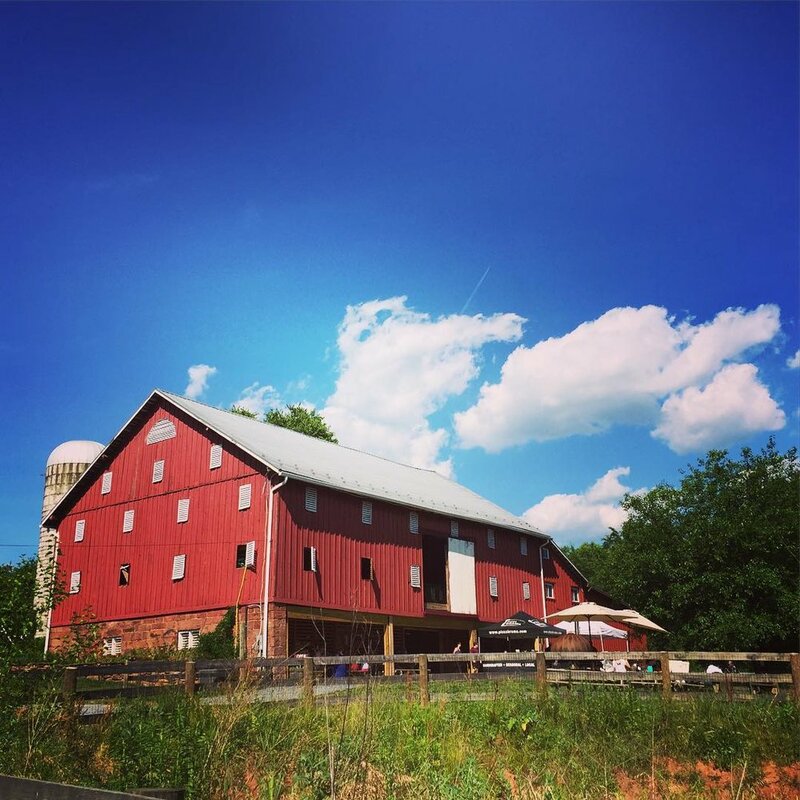 Only 45 minutes west of Washington D.C., Rocklands is nestled in the scenic Agriculture Reserve of Montgomery County, Maryland, and is easily accessible to the greater DC Metro area. Our peaceful setting allows you to renew & refresh with familiy & firends, while enjoying our delicious wines & nutrient-dense food within our rustic, historic working farm. Enjoy glass of wine with a farm-fresh meal, shop at our on-farm market for our hand-crafted wines & 100% grass-fed & pasture-raised meats, and experience one of our many events, such as live music, wine camps, or a tour of our operation. Greg Glenn (Co-Founder, CEO, Education Director, Farm & Livestock Manager) is married to Anna Joy, and they have three sons Fritz, Simeon, and Charlie. Greg oversees the entire operation, as well as directly manages the land, livestock, meat & education operations. Shawn Eubank (Co-Founder, COO, and VP of Sales & Marketing) is married to Melissa, and they have two sons, James & Peter. Shawn manages all operations, directs sales & marketing, maintains the brand, and manages the Cellar Club. TJ Fleming (Head Winemaker) is married to Bethany and they have a daughter Mary Haley. TJ is the head winemaker & manages all aspects of the vineyard & winery operations. Steph Carrillo (Sales & Marketing Manager) Joined the Rocklands team after she made a career switch and quit her corporate job to take a trip around the world. Steph manages our sales & marketing initiatives and programs, brand strategy and the on-site customer experience. Anna Joy Glenn (Co-Owner Sungold Flower Co.) is married to Greg, and helps run the land, livestock & education operations. Anna is the co-owner & head florist of Sungold Flower Company, which focuses on perennial, wild-foraged installments for weddings & events. Chris Ahn (Business Manager & Vineyard Specialist) is married to Amy. They have a nice dog named Gracie. Chris manages the business administration, facilities & equipment maintenance, and specialty vineyard operations. Katrina Buccella (Assistant Winemaker) started her career as an intern here at Rocklands after she graduated from Virginia Tech in 2016 with a degree in Biological Sciences. Kat is now the assistant winemaker and an integral part of the vineyard & winery’s daily operation. ﻿Greg Sr. & Janis Glenn are the owners of the Rocklands Estate. Janis manages the weddings and estate-grounds, while Greg Sr. is the resident janitor. Interested in joining the enthusiastic tasting room staff here at Rocklands? We are always on the lookout for fresh faces interested in promoting the Rocklands mission of "Feed. Nourish. Engage." Work well with others & enjoy customer service. An interest in handcrafted wines & local grape growing. Are passionate about regenerative, nutrient-dense food. Have an open mind and crave new learning experiences. Ready to take the next step? Email Shawn at shawn@rocklandsfarmmd.com with EMPLOYMENT in the Subject Line and tell us why you would like to work with us! Click below to email. "Rocklands most definitely has sealed a place in my little heart. I love the people, I love what we're all about. It makes me want to be better!"